The room available is one of two share-rooms. Access to the third bedroom and roof-top terrace is via the room available so you need to not be too precious about your space. Strategic placement of screens or furniture can maximize privacy. The flat is in a great location central to Kings Cross and all it has to offer - Station is only a 2 min walk. The rooftop terrace gets all day sun and has fantastic views of the city (see photo's) and available for all housemates to use. There are some random items of furniture available if required. 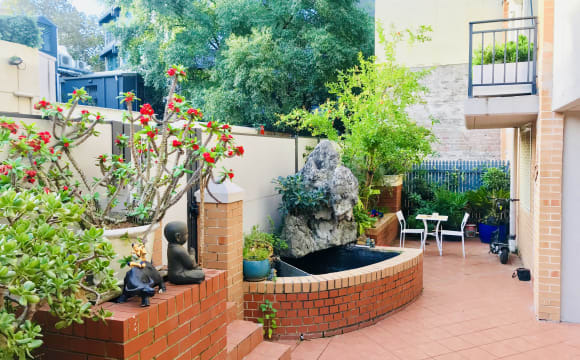 Beautiful modern style unit near iconic Sydney areas, Domain, Royal Botanic Gardens, Sydney Opera House, Museums, etc. Nightlife at Kings Cross, Oxford St and a variety of restaurants are only 10 min walk. Train stations are also on 10min walking distance. 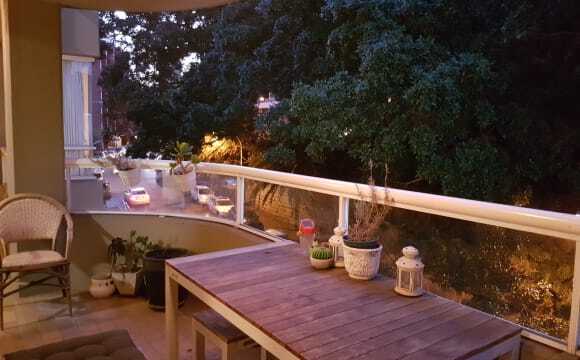 Spectacular 2 levels apartment in wolloomooloo is now available. Located within a close proximity to a variety of different services and public transports, services, supermarket and Town Hall station being only minutes away. Ten minute walk to the cbd, water and oxford street. Newly renovated. Private courtyard. Built in wardrobes. 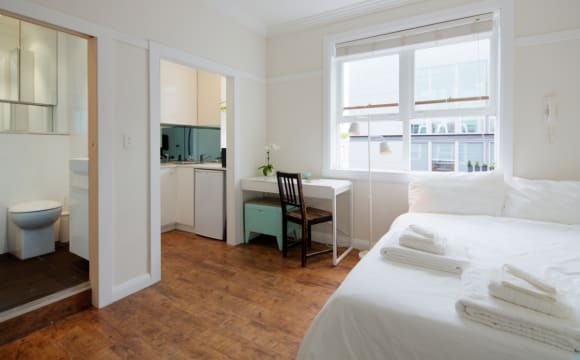 BUDGET WISE FLAT SHARE FOR ONE MALE! WANTED: ONE MALE (Maximum two persons in each Twin Shared Room) DESCRIPTION: 3 bedrooms, 2 bathrooms, living room, fully equipped kitchen, dining area, laundry room. UNIT IS FULLY FURNISHED AND EQUIPPED: Modern Massive 50 inches TV, Fridge, Pots/Pans, Cutlery, Microwave, Toaster, Kettle, FRONT LOADER washing machine, unlimited FREE WI-FI ROOM: Two single beds with bed linen, two bedside tables with lamps, built in wardrobes, LOCATION: PALMER STREET WOOLOOMOOLOO 27 minute walk to Darling Harbour 32 minutes walking distance to Power House 36 minute walk to UTS and 45 minute walk to USYD (Camperdown Campus) NEAREST BUS STATION: Bourke St before Harmer St 4 minutes Bus Number: 413, (25minutes) to USYD and 461 (27minutes) to UTS NEAREST TRAIN STATION: Nearest Train Stations: Kings Cross Station 13 minutes (5 minutes to Bondi Junction, 30 minutes to Airport) HIGHLIGHTS: - UNLIMITED FREE WI-FI - FRIENDLY FLATMATES - DATE AVAILABLE: Available NOW - SECURITY- you will receive a LEGAL contract with well-established share house accommodation agency - CLEANEST UNITS IN SYDNEY PLEASE NOTE: We prefer Minimum 4-month Agreement. 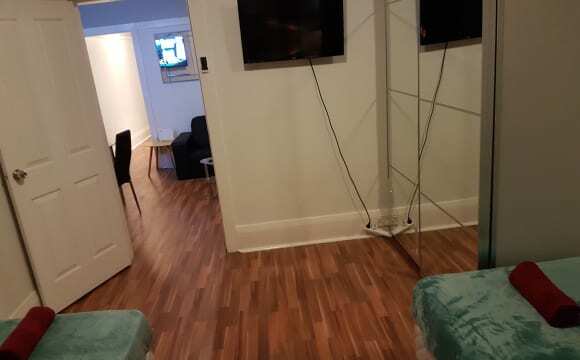 *Shorter stay negotiable for a higher price and subject to the building by-laws * *3 weeks rent as a bond is required and 2 weeks rent in advance. And one off $55 booking fee applies ** Please provide Australian mobile number so we can contact you for an inspection. 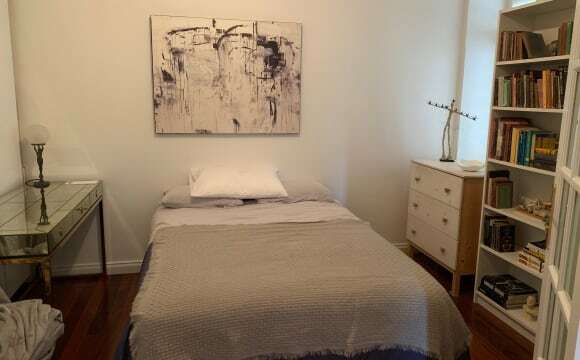 Available now, $135 per week, to share a bedroom with 2 young men, both of whom are chefs. Suitable for male or female. 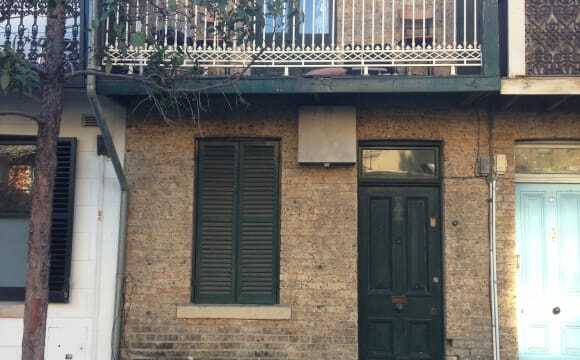 A room with French doors that leads on to a balcony which looks out over the end of Bourke Street, for fresh harbour air, just 4 houses and a hotel from Sydney Harbour. The house is as close to the city as it is possible to be. 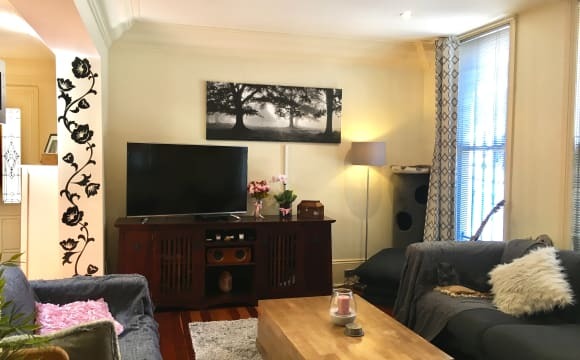 Includes all bills water, electricity, landline phone and high-speed NBN cable internet with unlimited downloads, and Netflix and Foxtel for movies. Includes a large flat screen TV, and you will have your own good bicycle. Includes free use of a new front loader washing machine and a drier. House has everything including iron, highest speed internet, and Netflix. This is a really good house with excellent people and in a perfect location. We are people mostly on work and study visas from Europe and Asia. House is multicultural, people in their twenties from Europe and Asia. The house is two storey Victorian terrace is exactly on the edge of Sydney CBD, just below and behind the Art Gallery of NSW. Closest railway station is St James at the North end of Hyde Park, and we walk there using an elevator in Bourke Street up to a walkway. We do our shopping in Kings Cross where there are 3 supermarkets. There is a bus which goes directly to Kings Cross from outside our house. This is bus 311 and it is 3 minutes to Kings Cross Woolworths. In the opposite direction, it takes you to Town Hall Station; a 10 minute journey. We are very close to the Andrew (Boy) Charlton Swimming Pool which is a heated salt water pool surrounded by the Sydney Botanic Gardens. There are 2 bathrooms. We all use the showers at vastly different times from 5am to 2pm which means the bathrooms are almost always available. The house is nearly empty for most of every day. The people you share the house with are the best people in the known universe, mostly young professionals, often also studying. Almost everyone is aged from 18 to 30, except for me. I am ancient but kept young by working full time as a tenured lecturer in Agriculture at the University of Western Sydney. I add maturity while being accepted by others for thinking and acting like a nerdy younger person. Please only contact me by phone. PHONE CALL OR PHONE TEXT . You will have your own bicycle. I am a hoarder of bicycles!!! Plenty of full-time parking for residents if you have a car. 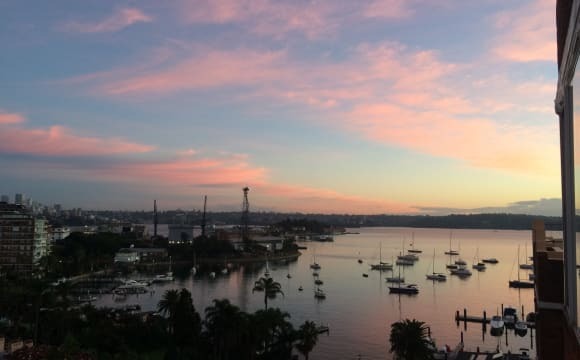 We are right in the heart of Sydney in Woolloomooloo, directly below the Art Gallery of NSW, and 4 houses from the Harbour in a quiet and beautiful area. We live right on the boundary of Woolloomooloo with Sydney's Central Business District. This good looking 2 storey brick house was built in 1860. It is easy to keep cool in Summer and it stays warm in Winter. 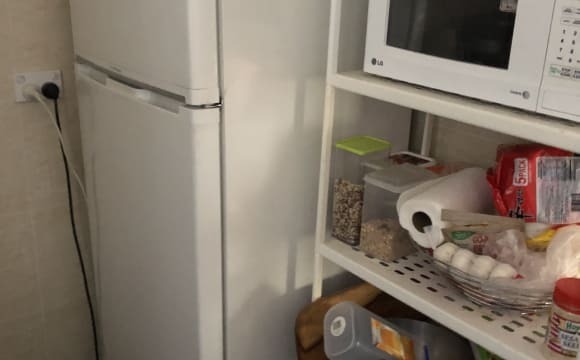 The kitchen is large and has everything, including very large twin door fridge, another fridge, oven, microwave, health food blender, bread making machine, cooktop, with all cutlery and pots and pans and almost every kitchen appliance that has ever been invented. House has everything including new front loader washing machine, a clothes drier, iron, large flat screen TV, highest speed internet, Netflix and Foxtel etc. This house has 2 bathrooms. We have a relaxed and friendly female cat whose name is Possum. Sunny outdoor courtyard area with BBQ, tables, chairs, large umbrella, and clothes hoist. The room is the master bedroom, it's furnished (bed frame and side tables) with a built in wardrobe, private ensuite and access to balcony with city views. There's also an undercover car spot and its 5 minute walk to kings x station and 15 minute walk to CBD. Onsite facilities: gym, pool, spa, sauna, concierge. We have Netflix and Stan on the TV and there's airconditioning in the living areas. Great central location - cafes, restaurants, boutique shopping, train , local weekend markets just one block away. Fabulous harbour and city views. Large light filled bedrooms and spacious balcony that will soon include a kitchen garden . Character 1930's building penthouse fully furnished with lots of light and personal spaces. Easy walk to the city through the botanical gardens. 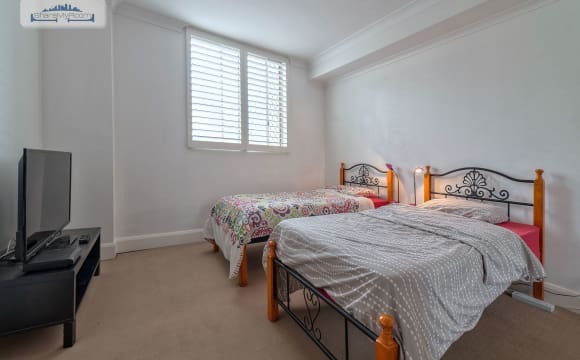 Room available in an awesome apartment located in the heart of Potts Point. 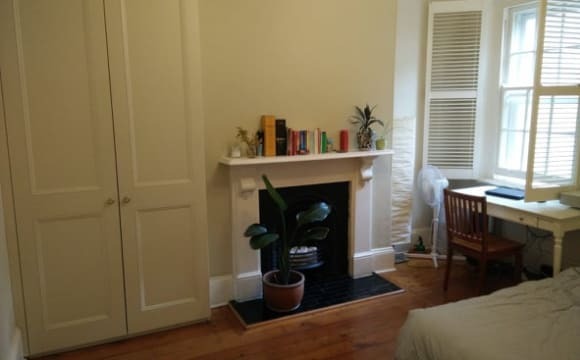 Only 300m to Kings Cross train station or 25min walk to the city. Room is fully furnished with double bed and built in sliding robe, and offers views of the city skyline. Apartment is bright and modern and has a large private furnished terrace with BBQ, located beside the complex outdoor pool. 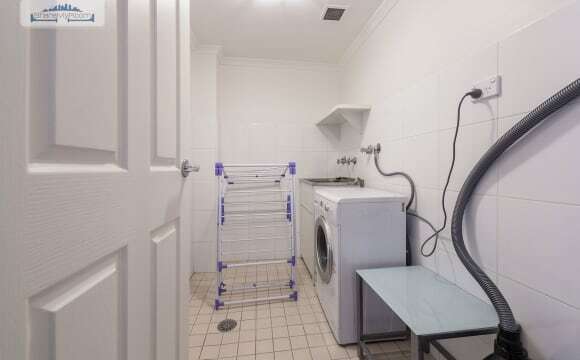 Apartment is equipped with internal laundry, WIFI, Foxtel TV and all mod cons. 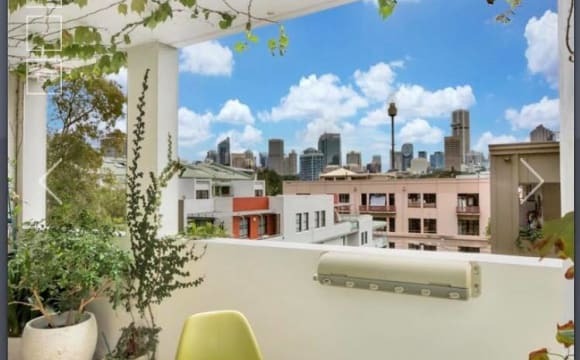 Building has large communal rooftop terrace with BBQs which offers panoramic views of the city and Sydney harbour. Perfect to chill-out after work with a beer or glass of wine and watch the sunset, or entertaining friends. A little about me, in my mid-thirties, working in the CBD for a travel tech company. I am originally from Ireland, however have been living in Sydney for 8 years. Furnished, bright, small studio apartment with a beautiful aspect to the rear lively laneway filled with charming cafes and restaurants. It is small size (17sqm) with 3m high ceilings. Perfectly situated on Springfield Avenue in Potts Point, just a short walk to Sydney's famed Kings Cross – home to Sydney's bustling nightlife. 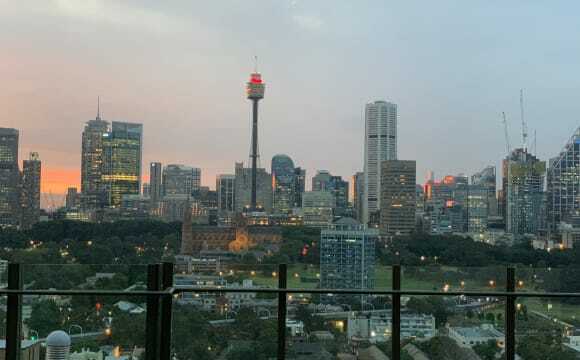 Potts Point is Sydney's most cosmopolitan neighbourhood (akin to Soho in London and East Village in NYC). Lined with beautiful trees, it starts at the Harbour and is filled with cafes and restaurants. The apartment is located within an Art-Deco style building with amazing old-world charm with original elevator. The apartment is on the top floor of the building. The building is next door to the supermarket, arguably Sydney's best: Harris Farm, which offers amazing fresh fruit and vegetables as well as a large selection of gourmet items. It's open late, so you can always choose to eat in! It boasts an open plan renovated design, with very comfortable double bed with new mattress; plenty of storage, wardrobe and new kitchen with brand new appliances. A two-minute walk to the nearest train station (Kings Cross), and an easy 15-minute stroll to the CBD. Kings Cross station is two train stops away from Bondi Junction, a short distance from Sydney famous Bondi Beach. Within walking distance of the Botanic Gardens, Opera House, Art Gallery, Australian Museum, central business district &amp; most tourist sites. 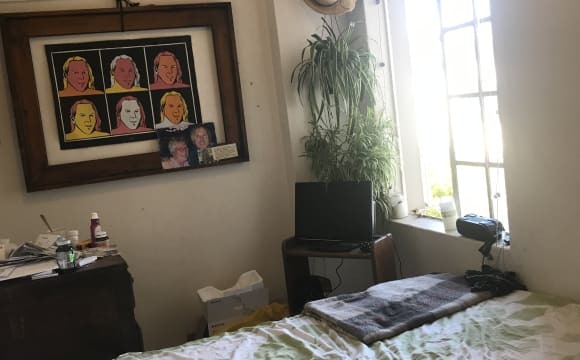 I have a room for rent in a beautiful, art deco apartment in Potts Point, overlooking Macleay Street. It has timber floors throughout and lots of storage! It also has a common laundry with coin-operated machines and a courtyard to hang clothes. 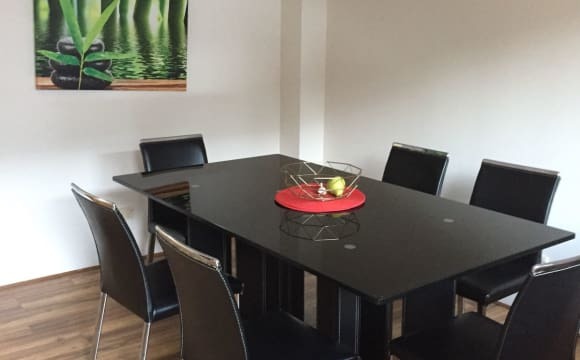 The apartment is a stone's throw from restaurants, cafes, bars, supermarkets and public transport. It's a 10-15 min walk to the Domain, a 25-30 min walk to the CBD and an easy walk to Paddington, Surry Hills, Rushcutters and Double Bay. 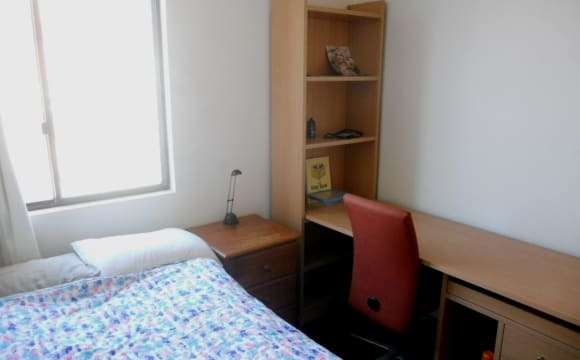 1 Housemate to SHARE with Business Professional (Male aged 30), 2- 3 months (neg) $495pw inclusive. Lease take over after 2-3 months possible. Art Deco elegance with lofty ceilings, leafy outlook nestled at the “Paris” end of Macleay St Village just moments from renowned restaurants, cafes, nightlife, supermarket, bakeries, bookshops, boutiques, galleries, farmers market, gourmet shops and gyms. Walk to the harbor, CBD, Botanical Gardens and the other way to Elizabeth Bay and Rushcutters Bay. On the first floor, the apartment is tastefully furnished, air-conditioned and the private bedroom (2) is large with brand new DOUBLE bed, luxurious bedlinen, furnishings and with hanging space and drawers. The apartment is fully equipped and includes Apple TV, Internet, Dishwasher, Washing machine/Dryer combined. All-inclusive with Gas, Electricity, Water and Internet at $495.00 per week payable for the full term in advance. Only suitable for one other no couples. Amazing location, one minute from Kings Cross train station, one minute form Maccas, next to the Coca-Cola billboard. Fresh painted unit with TV in every room, remote control for lights and fans with timer, whashing machine and dryer. 2 bedroom unit to share for a couple or 2 friends or by yourself. Will be 4 people maximum, each person $270 per bed. We are very flexible with furniture and conditions in general. Located in DarlinghurstbRd, Potts Point. 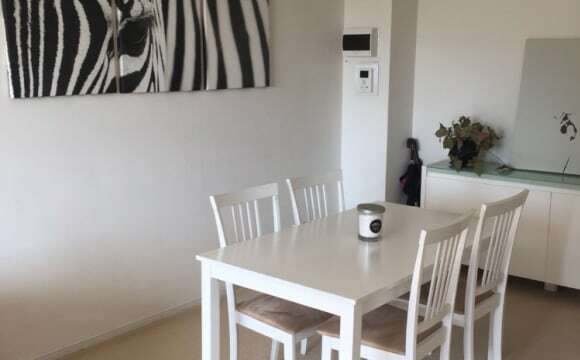 Massive fully furnished apartment. Absolute waterfront apartment. 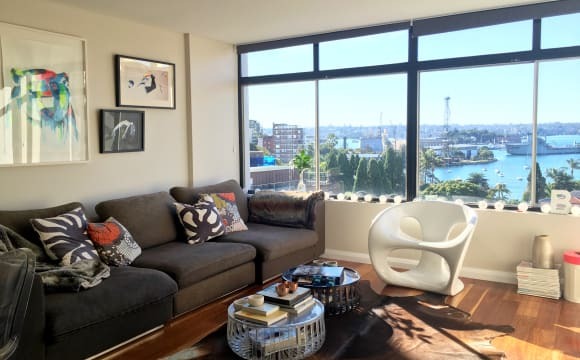 135sqm light-filled apartment with open-plan living areas &amp; amazing views over the harbour. Furnished to a high standard. The kitchen is well appointed. The residence has a private garden, outdoor setting with a BBQ right beside the water. 1.8km from the city; on the doorstep of Potts Point &amp; Rushcutters Bay. Only I live in the apartment. If you are interested, please email or text. I'd be happy to have you over to look around &amp; have a chat. The bedroom has loads of storage and a new high quality bed + all the linen you see in the photos is available if you wish to use it. Everything you need to start living is in place. 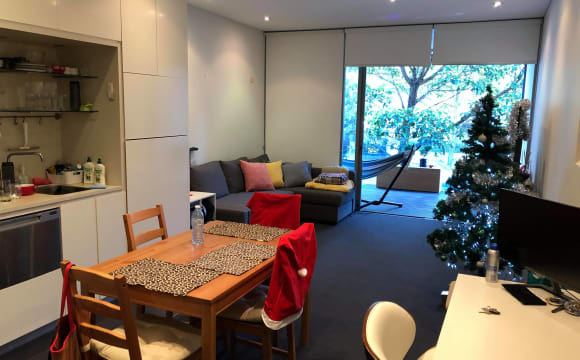 Double Room with Kitchen in Potts Point for $378 per week ! ! ! Available from 25.04 Awesome accommodation available now, with no set lease period required. One weeks bond and a $50 key deposit. Minimum one month stay, just give two weeks notice to depart. Room is: * Fully furnished with wardrobe, table and chairs etc * Kitchen has fridge, microwave, sink, Cook Tops and all equipment. * Fully made up bed. *Flatscreen TV * Shared Bathroom Lodge has: * WiFi and Bills included. * CCTV and onsite staff * Newly renovated and Super Clean! * Close to trains and buses. (2 minute walk) * Close to Supermarkets ( 2 minutes walk) * Onsite laundry. * Awesome onsite cafe Great area with lots of cheap eats, bars, restaurants and coffee culture.2 minutes walk to kings Cross train station. 1 minute walk to Supermarkets. Contact us to set up a viewing.